The final court hearing in the Save Farm Terrace allotment fight will take place this Friday at the Royal Courts of Justice in London. They are holding a ‘Harvest Festival’ protest outside the courts at 1pm and we urge anyone who can make it to get along there to show your support. You can read about the history of the campaign here, our attendance at their previous protest here, and our feelings about the current spate of allotment closures here. 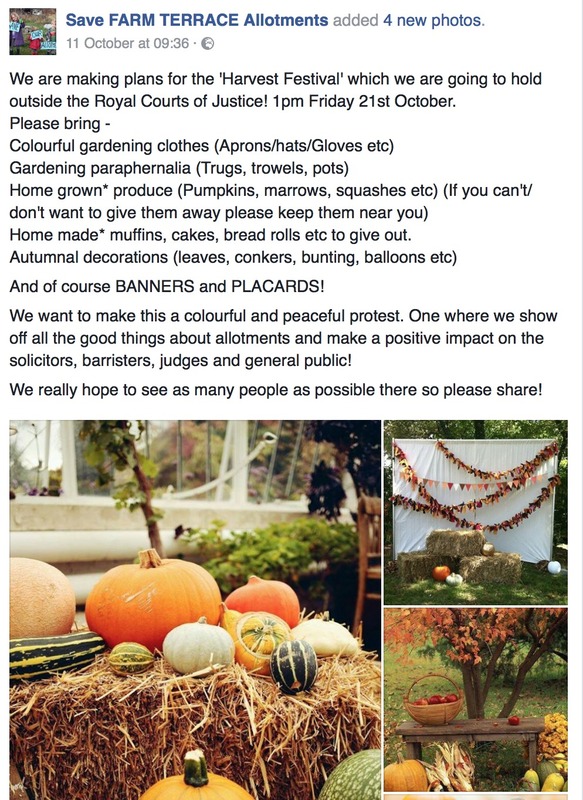 If you value allotments, green spaces and the environment, this is your chance to make a stand!